In my case, since I already have an auxiliary battery in place, I’ll be integrating this new fuse panel into the secondary system. Preparations and requirements for adding a fuse panel may vary from application to application. A lot of the details depend on how much amperage you plan to draw. 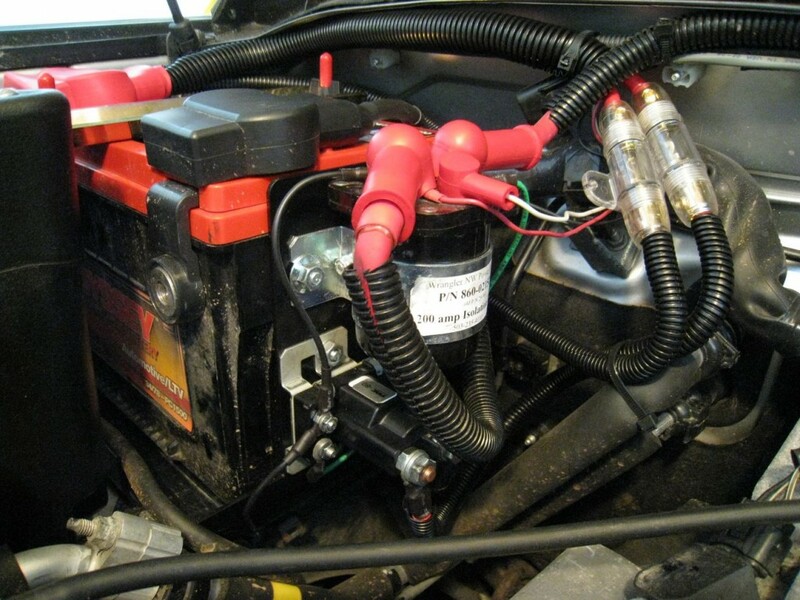 Any large-draw accessories, such as off-road lights, will end up using a separate system that ties more directly to the battery using a series of relays and switches. The intent behind the fuse panel is to support a large assortment of low-power accessories like music and movie players, cellular phones, and portable GPS devices. 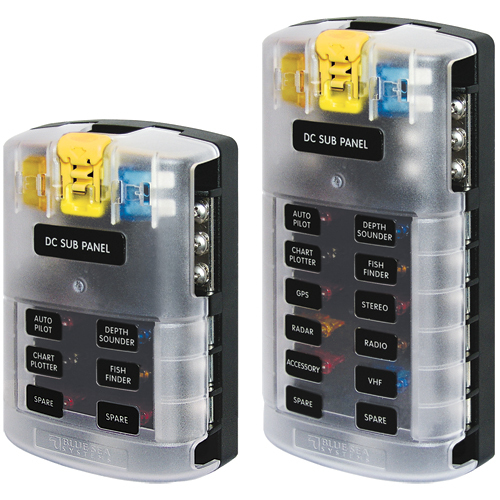 Although there are a wide variety of choices for automotive fuse panels, I opted for a 12-position panel from Blue Sea due to its reputation for quality and versatility in a relatively compact size. The dimensions of your fuse panel are an important consideration. Based on where you plan to locate your new fuse block, you may need to alter manufacturers to find a design that fits your particular needs. 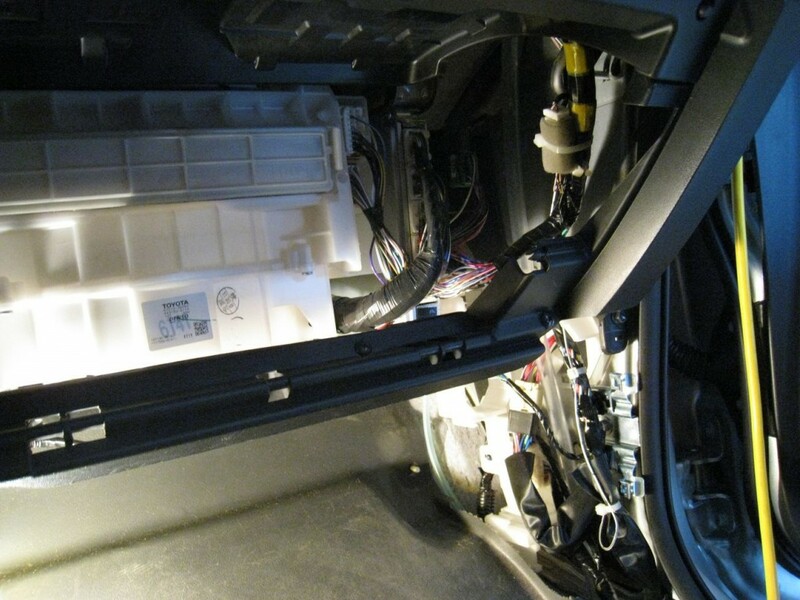 I decided fairly early on that I would be locating my fuse panel inside the passenger-side kick panel, just below and to the right of the FJ Cruiser’s glove box. The 12-position fuse block from Blue Sea works perfectly for this location and provides me with plenty of room for adding accessories as I need them. With electrical projects, I find it’s much easier to compile a complete list of project items ahead of time. I have found that Amazon.com is a great place to purchase electrical supplies and I’ve included the items required for this project as links (below) to make it easier for anyone else who may be looking. You may also notice from the list below, that I decided to purchase some of my items in a variety of sizes and quantities. It isn’t necessary to purchase loom, wire, fuses and shrink tubing in bulk. But the added materials give me a lot more flexibility with the project in case I need to make any last minute adjustments. 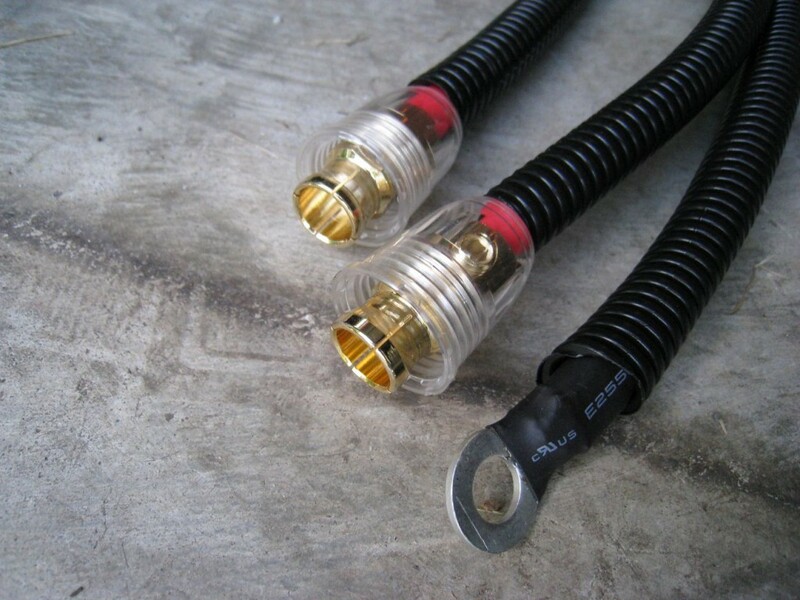 In reality, the amount of heat shrink tubing, wire and wire terminals can vary depending on where the wires are routed, how many wires are bundled together, and where the wire connections are made. And as a general rule it’s cheaper in the long run to purchase items like wire loom and wire itself in larger quantities. As an added bonus, the increased variety and quantity also provides me with a well-rounded stock of electrical supplies for future projects. Note: The numbers after each item indicate the total number of each item to purchase. Once all the supplies arrived, I began working immediately on the fuse block. I decided to split the fuse panel into 6 terminals that were connected directly to the battery through a fuse (always hot) and 6 terminals that were also fused, but only hot when the key was in the ACC or ON position (switched). To accomplish this, I needed to open up the back of the fuse panel and perform some minor surgery, if you will. 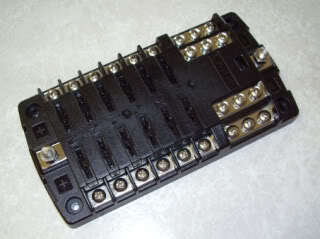 This particular Blue Sea fuse block (model number 5026) is split between 12 positive terminals on the bottom, and 12 negative grounding terminals at the top. Since I would be grounding my individual accessories elsewhere, I removed the 12 grounding terminals from the top portion, but left the primary negative bus attached. I then used a hack saw to cut a small section out of the primary positive bus bar, splitting the twelve terminals by leaving six on each side. In order to provide the top six terminals with a power source, I soldered a small section of 6AWG wire between the top section of bus bar and the main bus left over from the negative terminals. The following photos should give you a better idea of the changes I made. With the fuse panel modifications completed, I moved on to the next step of the project – the wiring. This particular fuse block supports a maximum amperage rating of 100 amps, so I opted to use 6AWG wire for the main battery leads. Fuse selection is very important in these scenarios. To prevent wire meltdown from too much draw, the fuse amperage should be less than the total amperage rating for the wire. Since 6AWG wire is rated for roughly 100 amps, I opted to use 80 amp, inline fuses. This still allows for plenty of current draw but minimizes the chances of overload because the fuse will blow before the wire amperage is exceeded. 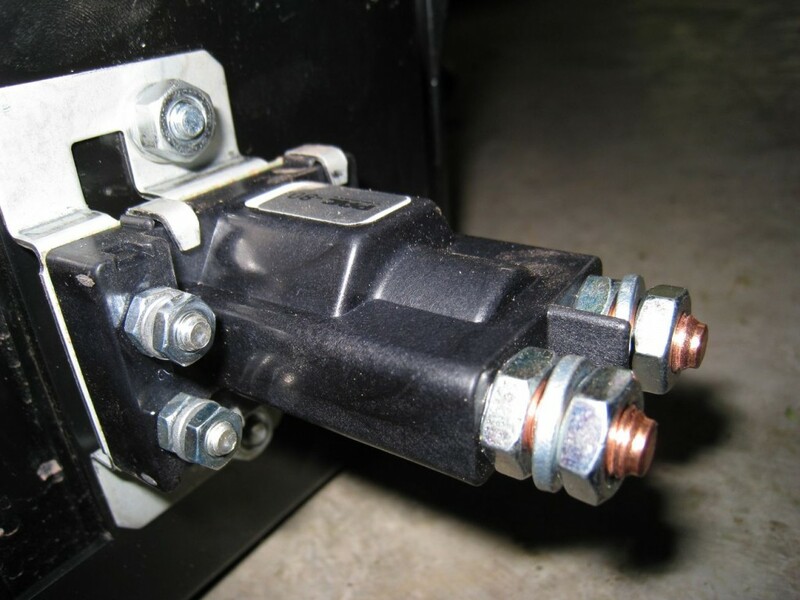 Another option, if you don’t like inline fuses, is to use a circuit breaker. But these are typically more difficult to find and a lot more expensive than using fuses. Lastly, keep in mind that the gauge of any grounding wire should be the same size as that of your positive lead for the same item you’re attempting to ground. Next on my list, was the relay required to operate the switched devices on the fuse panel. Like my fuses, I selected an 80 amp relay to ensure the main wire leads were not overloaded. The relay I chose comes with a bracket for mounting. I chose to mount my relay to the side of my secondary battery tray, just below the primary battery isolator (used to tie into the existing electrical system). I planned to run the fuse panel leads through the passenger-side firewall directly behind the second battery tray. To facilitate this, as well as mount the new relay, I decided it would be easier to temporarily remove the second battery and tray before starting. The custom battery tray that came with the Dirty Parts dual battery kit worked perfectly for mounting the second relay. I just drilled two additional holes through the side tab and bolted the new relay into place. With the passenger-side fender area clear, I turned my attention to mounting the fuse panel inside the cabin. Removing the passenger kick panel is as simple as removing the plastic sill cover (it just snaps into place) and unscrewing the small plastic knob that holds the panel into place. The kick panel then just slides outward for removal. There aren’t a lot of solid attachment points in this area so I just ended up using plastic zip ties to secure the fuse block to whatever relatively solid objects I could find. I did manage to get a lower mounting screw lined up with the white plastic used to secure some of the stock wiring which helped solidify the mounting. Next, I removed the 80 amp inline fuse holders from their packaging and separated the components to make it easier to add them to the wiring. Because I split the fuse block into two separate bus bars, I now required two separate 6AWG leads from the secondary battery. Both leads also required the inline fuses for safety reasons. 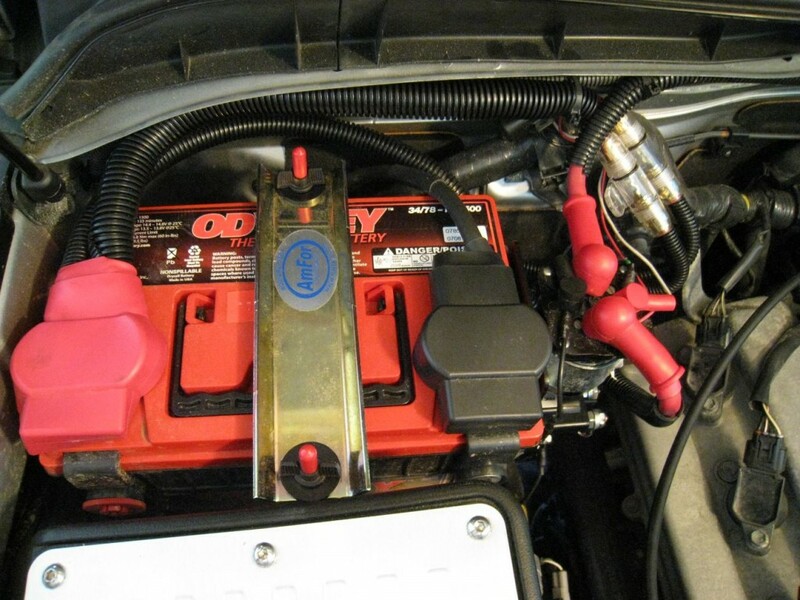 It’s always a good rule of thumb to keep the fuses closer to the battery when possible. I cut the first two leads fairly short (about 12-18 inches) but your length may vary depending on where you want to place the inline fuses. After placing one end of the fuse holders on each lead, I soldered and heat shrunk a 6 gauge 1/2″ eyelet onto the other ends. I finished by surrounding both leads with a single piece of 3/4″ wire loom and attaching them both to the positive battery lead (currently not hooked up). After measuring the distance from the new lead ends, through the firewall and reaching the new fuse panel, I cut a third length of 6AWG wire to be used for the remainder of the direct lead (non-switched). This wire will bypass the relay and go directly from the inline fuse to the fuse block now mounted inside the cabin. 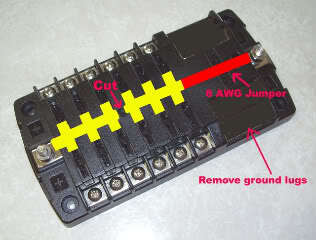 Two additional 6AWG wires are required for the switched portion – one to run from the inline fuse to one side of the relay and one to run from the relay through the firewall to the switched section of the fuse block. A 3/8″ eyelet and heat shrink tubing were required for the ends that attach to the relay as well as the fuse block bus bars. The remaining two ends received the other side of the inline fuse holders. 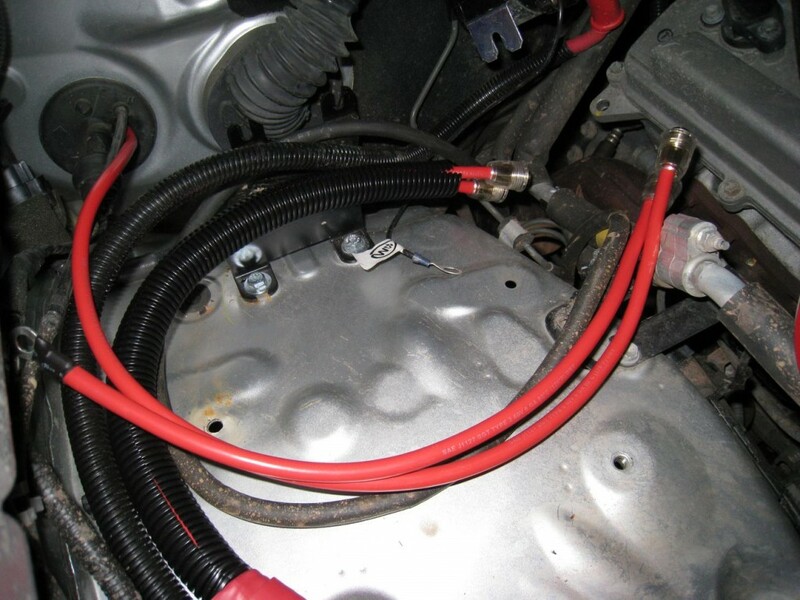 I surrounded all portions of wire that run inside the engine compartment with individual lengths of 3/8″ wire loom. 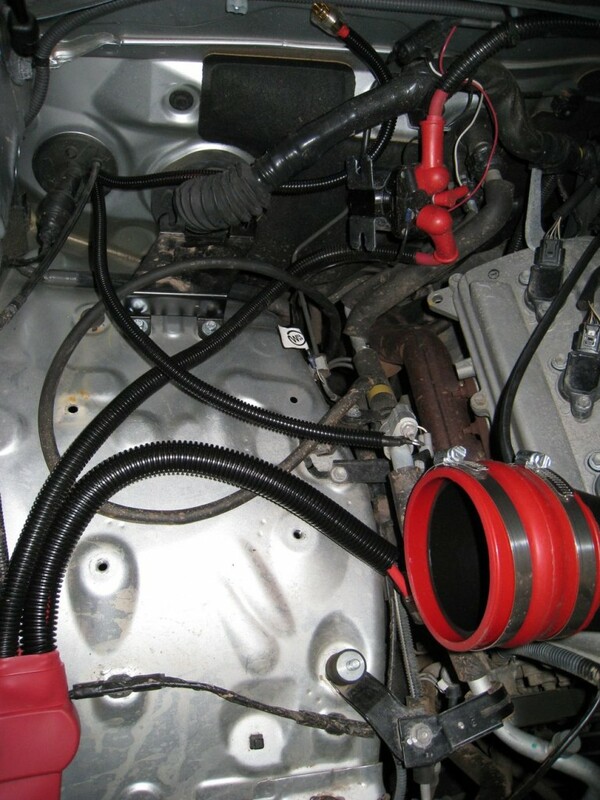 This not only gives the install a cleaner look, it also helps prevent wire abrasion due to vehicle vibrations. There is a fairly large rubber grommet on the passenger side of the firewall that made a perfect location for running leads through to the new fuse block. I made sure to note which lead was switched and which was not so I could attach each lead to the appropriate bus bar. Each lead is attached to the respective post on the front of the fuse panel and held in place with a small nut. 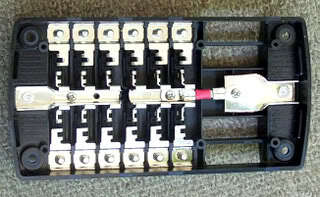 The front cover of this fuse panel expects the leads to enter the panel from the sides or from the top/bottom respectively. This allows the cover to snap securely over the panel once the wires are in place. 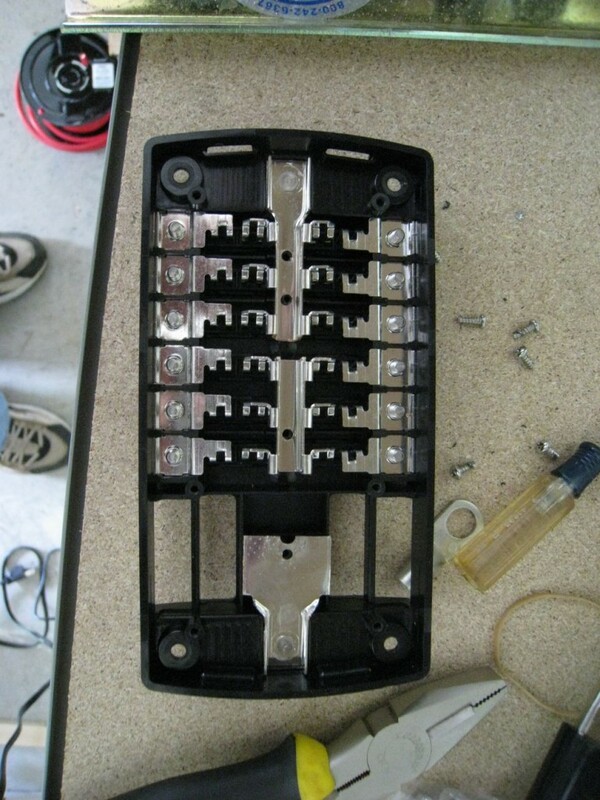 There also needs to be enough room for all the accessory wiring so keep that in mind when locating your fuse panel. The two large posts on the 80 amp relay are designed for your large amperage wire. The two smaller posts are intended to be used for your hot and ground wires from the switch that controls the switched side of your fuse block. In my case, I already had switched circuit available from the secondary battery system so I just tied into that circuit using a short jumper wire for both the positive and negative leads. The wire gauge for the switch itself can generally be a lot lighter since it’s only used to engage the relay, but I’d still recommend a minimum of 14AWG wire (see links above). 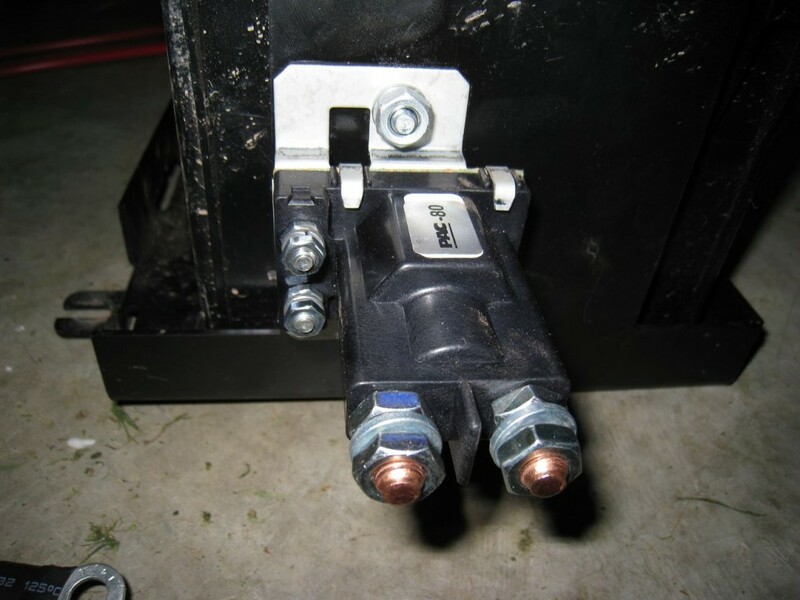 If you don’t already have access to a switched power source, consider running a circuit back into the cabin and tieing it into the stock fuse panel using an Add-A-Circuit kit (listed above). Use a voltmeter to determine which slots are hot when the key is in the ACC or ON position, but dead when the key is in the OFF position. Once you locate a slot, tie the positive side of your relay switch into it using the Add-A-Circuit. The negative side of your relay switch can be run to pretty much anywhere nearby that provides a decent ground. 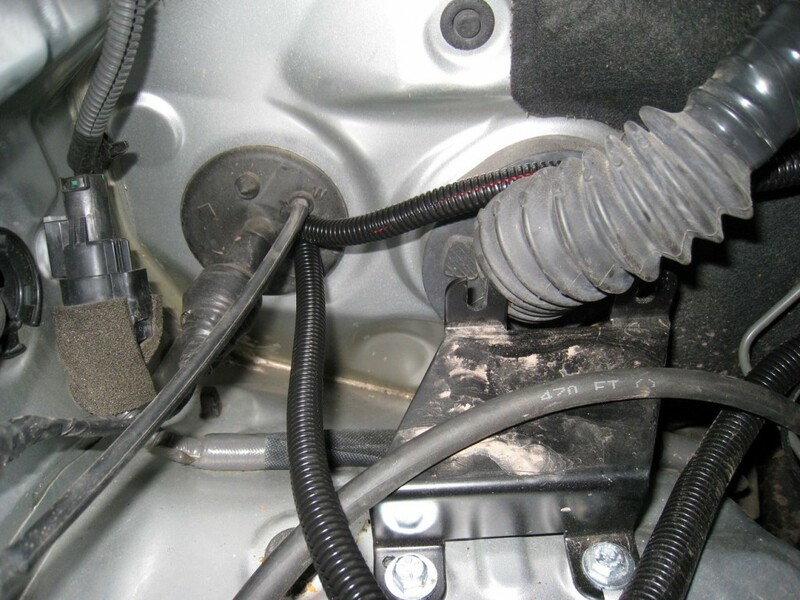 As always, take extra care when running and routing your wires to ensure they are completely clear of any moving parts or components that will heat up while the vehicle is running. With the fuse block mounted and hot-wired on both sides and all the leads now ready for assembly in the engine bay, I replaced the secondary battery and tray. I left the main battery leads disconnected while I attached the 6AWG leads and switching wires to the newly added 80 amp relay. Once again, all connections were soldered and heat shrunk for added longevity and neatness. Once the relay was wired, I added an 80 amp fuse to each fuse holder and assembled both ends to complete the 6AWG circuits to the battery. I did a last-minute check to ensure that all wires were clear of engine parts and then secured the larger loom with zip ties to the firewall. Lastly, I reattached the main battery leads to their respective terminals on the battery. 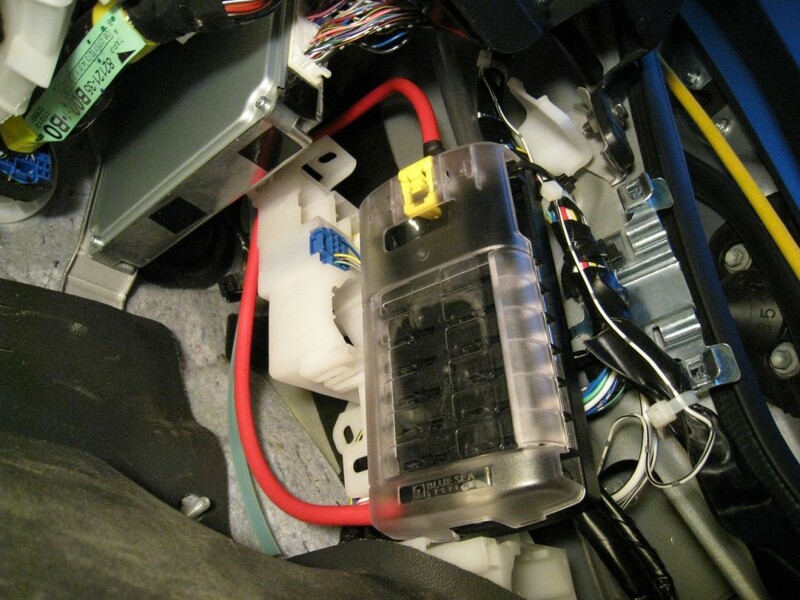 The original install date for the auxiliary fuse block was July of 2009. I’ve had no issues with the install or any of the hardware, but I do have a few things to note. Firstly, I chose to run the main leads through the passenger-side firewall because it was the most obvious location considering my fuse block is just on the other side. 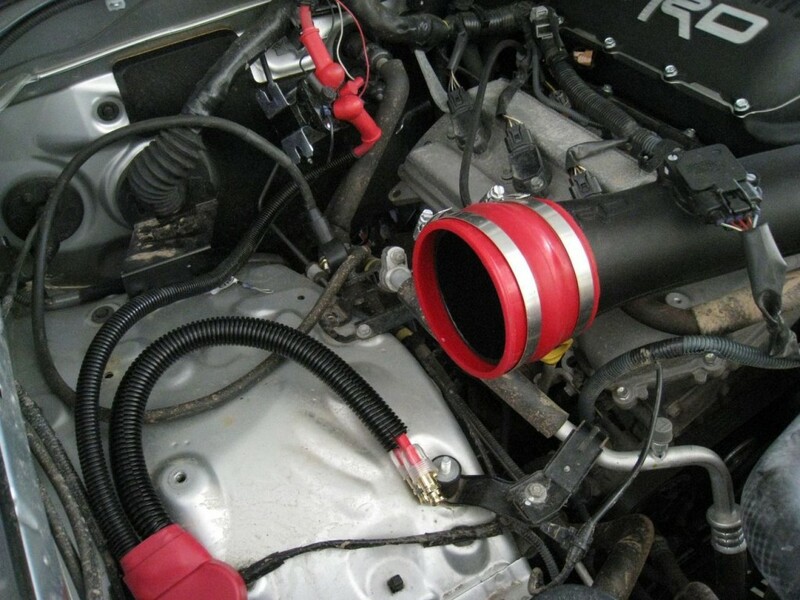 But in hindsight, I now realize that any engine bay accessories would need to be routed through the same area. 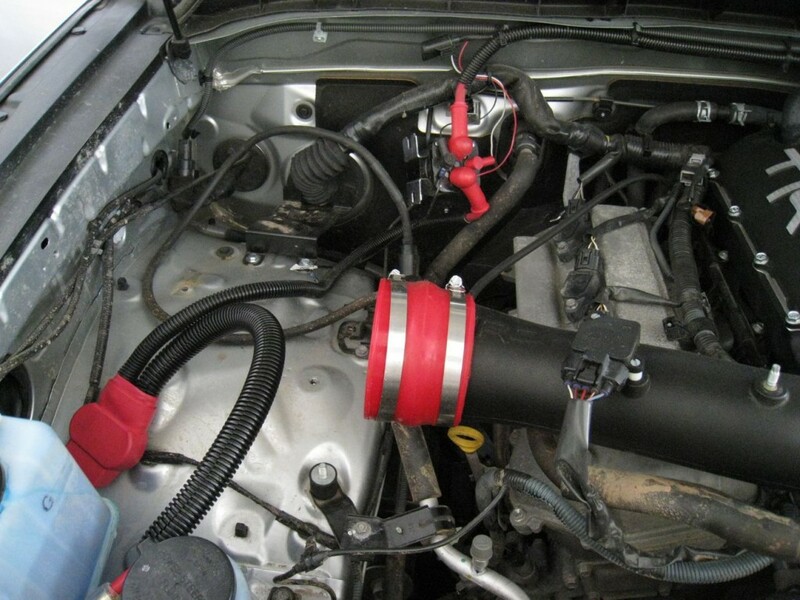 With the second battery and air box in place, this is highly inconvenient and will most likely require removal of one or both of these items to gain access to the firewall. 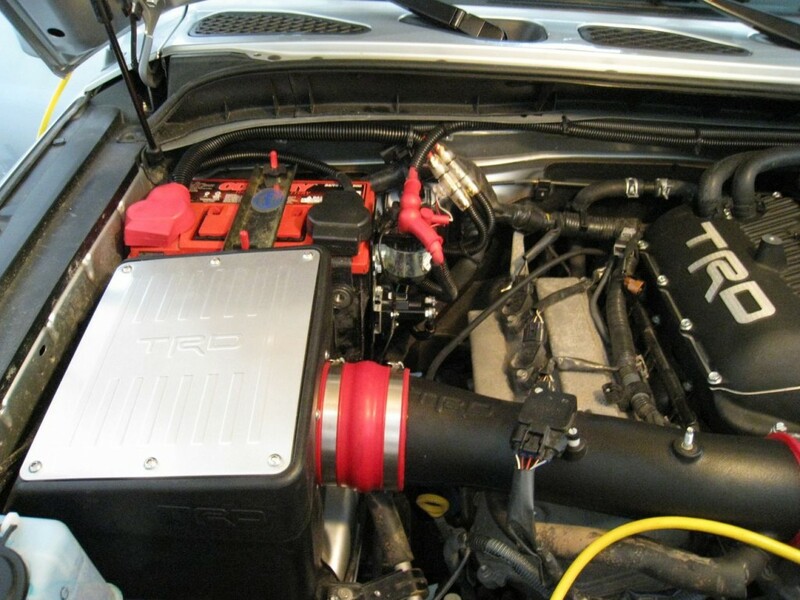 The other option is to install a second auxiliary fuse panel in the engine compartment so that external accessories could be wired without removing the battery/air box. 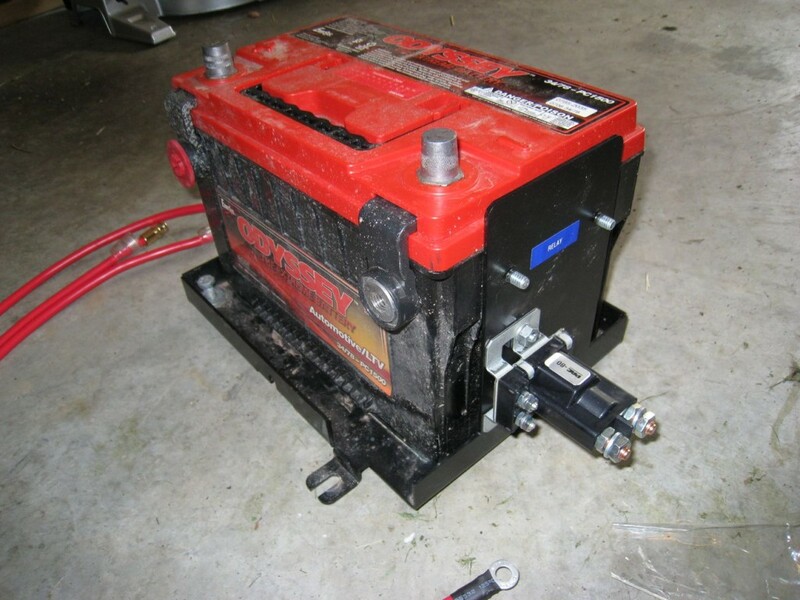 Secondly, if and when I get around to adding a winch or another fuse panel, I will be out of room on the main battery posts. 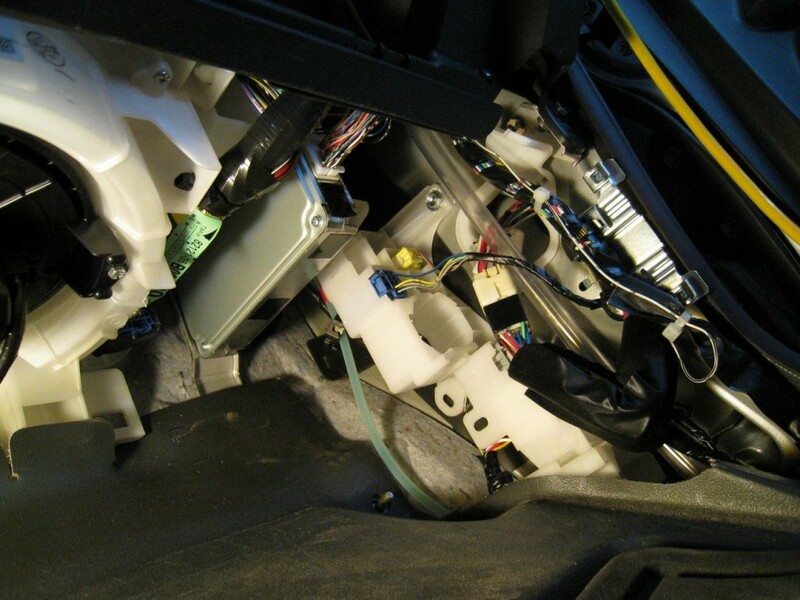 The close proximity from battery to air intake makes the front battery posts inaccessible as well. So in the future, I plan to add a secondary bus bar that feeds off the secondary battery. This will allow future accessories that require direct access to the battery to be easily added without unnecessary clutter or confusion. Other than the above two minor issues, I have been exceptionally happy with this setup. 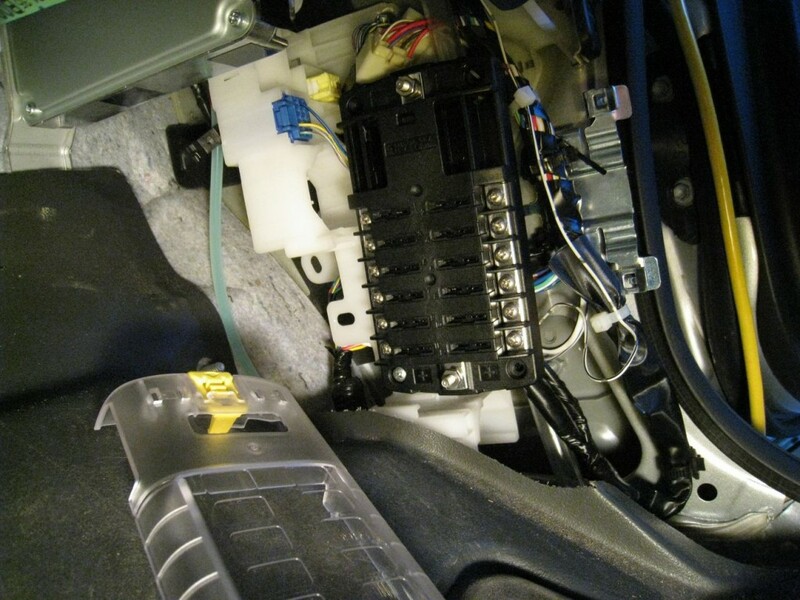 Shortly after the addition of this fuse panel, I installed 3 additional 12v outlets in the center console. The details will have to wait for another article, but suffice it to say that the addition and location of this new fuse panel made this job a cinch to complete. If you are considering the addition of a secondary battery or just want to add multiple accessories to your FJ’s interior, I highly recommend adding a secondary fuse block. 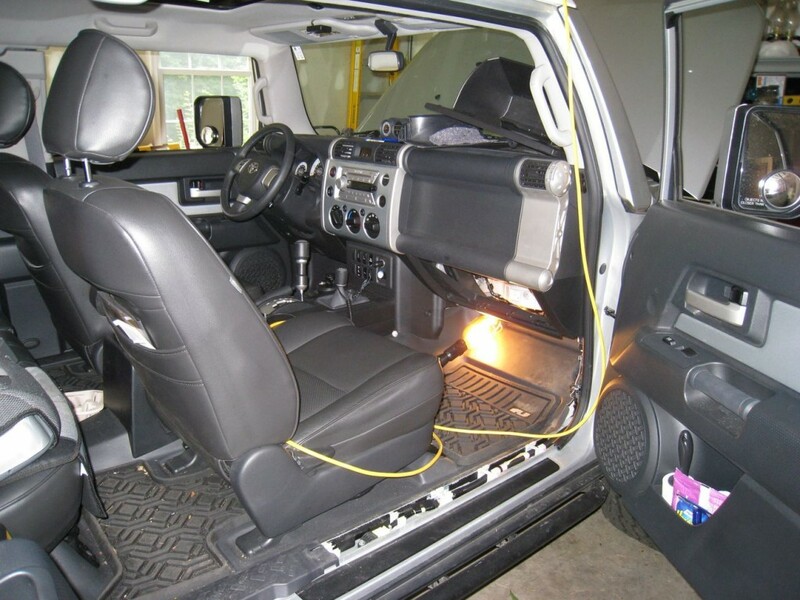 It makes things a lot less confusing and gives you one central area on the interior of the vehicle where you can tie in all your add-ons. 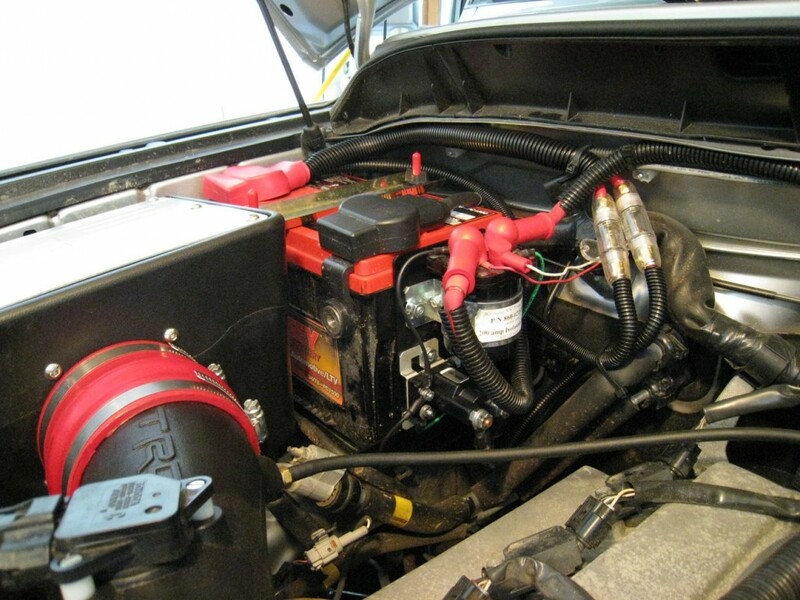 If you’re interested in adding a secondary battery to your FJ Cruiser, don’t forget to see part one of this series (linked below). I sent you an email about a week ago in follow-up to your request. If you didn’t receive it please let me know and I’ll try to coordinate by other means. Thanks again for your interest. You ran two power wires from the Blue Sea to the battery. Could I just use one 1/0 AWG wire from the battery then split it into two 4 AWG into the cabin? Thanks for the great write up! In my case, I ran two separate wires to support 6 constantly hot connections and 6 switched connections. If you want all the connections to operate in the same fashion, you could just as easily leave the Blue Sea fuse panel in its stock form and run a single wire from the battery directly to the panel (fused inline of course), to achieve 12 constantly hot connections. The fuse panel is designed to support a maximum of 100 amps for all accessories, so unless your wire runs are lengthy (6 feet or more), using 6 or even 8 gauge wire should be sufficient to support 100 amps at peak usage. 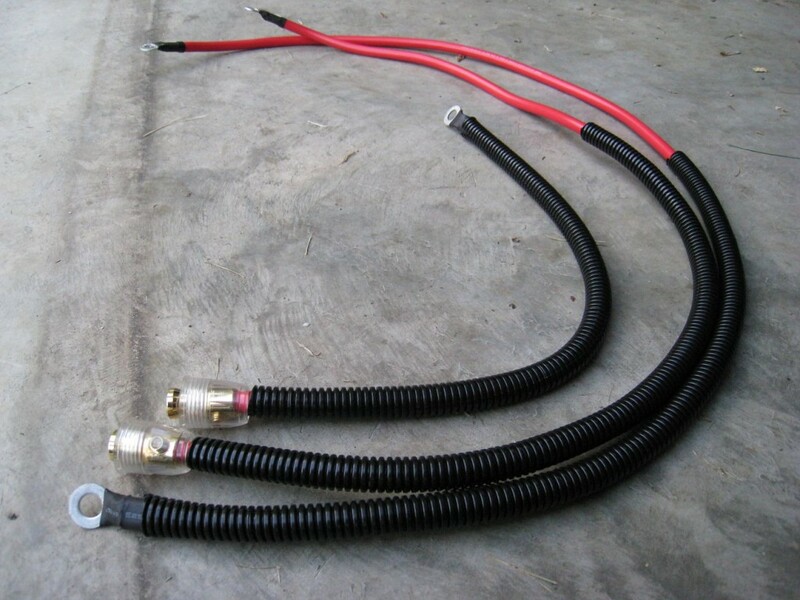 Using 0/1 gauge cable would only be required if your runs are 10-12 feet or more. 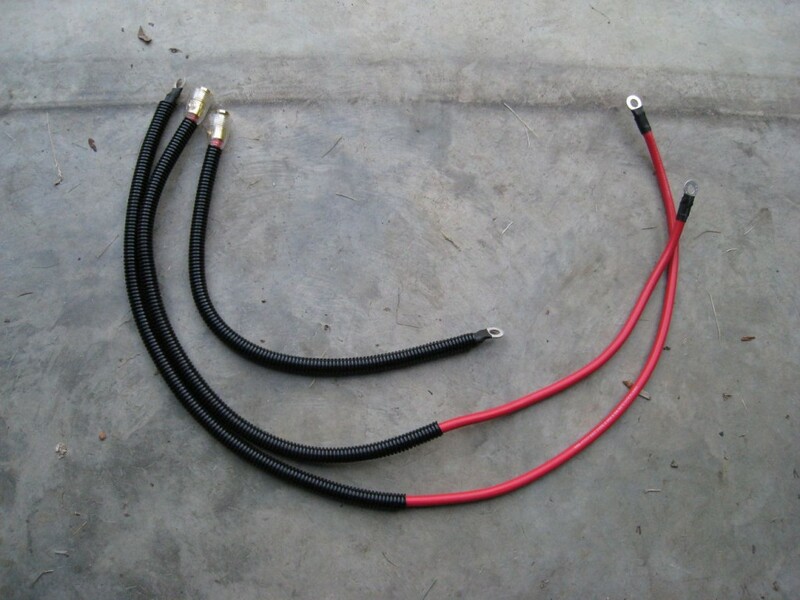 In addition, you may find it difficult to attach such large gauge cables (0-4 gauge) to the fuse panel as the connectors are not designed for such large wire. Hope this helps and thanks for the feedback!